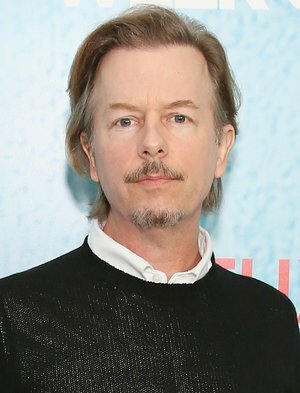 On Tuesday night, the "Love" actor shared a blurry photo of himself and the businesswoman, who had been married to his brother — entrepreneur Andy Spade — since 1994. "Fuzzy picture but i love it," he wrote on Instagram alongside the holiday snap. "Kate and I during Christmas family photos. We had so much fun that day. She was so sharp and quick on her feet. She could make me laugh so hard." "I still cant believe it," he added. "Its a rough world out there people, try to hang on." The comedian also took to Twitter and Facebook to honor Kate, sharing a photo of her grinning as he signed a copy of his 2015 memoir, "Almost Interesting." "Katy at my book signing. I love this pic of her. So pretty. I dont think everyone knew how f***ing funny she was," David wrote. He then reiterated the same sentiment from his Instagram post: "It's a rough world out there people. Try to hang on." Kate was found dead in her New York City apartment, the New York Police Department confirmed to Access on Tuesday. Her housekeeper discovered Kate hanged by a scarf, CNN reports. A note addressed to her 13-year-old daughter was found.